Please call the office at (806) 355-9355 (WELL) or fill out this form and someone will get in touch with you as soon as possible. We look forward to helping you with your health! Which service would you like to schedule an appointment for? Which day of the week do you prefer? Do you prefer Morning or Afternoon? Do you have any Comments/Details regarding why you are scheduling the appointment? Medical acupuncture provides many types of approaches that are used depending on the individual and their needs, such as, pain management, energy balancing, or treating a systemic condition versus local condition. Dr Ehle has studied with numerous acupuncturists, and he utilizes several different types of acupuncture, including French Energetics, Traditional Chinese Medicine, Auricular Acupuncture, YNSA, and Five Element. Auricular acupuncture is based on a reflex somatotopic system organized on the surface of the external ear. The external ear is unique in that it is structured from tissue from each of the three embryonic layers in the early development of an infant and has connections to the nervous system. 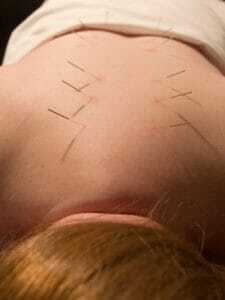 This method is frequently used as an adjunct to other acupuncture methods and is especially useful for pain, metabolic disorders, central nervous system disorders, behavioral issues and addiction. Scalp acupuncture is a modern acupuncture method developed in China that combines traditional needling methods with modern knowledge of the brain anatomy. This method is especially useful for central nervous system disorders such as stroke, paralysis, back pain, phantom limb pain and multiple sclerosis. This approach uses the Yin and Yang channels that are part of the energy circuits in the body called Principal Meridians. Principal Meridians are the largest energy circuits that pass between and through the muscles of the body and send energy branches to the internal organs. Many acupuncture energy subsystems stem from these Principal Meridians and can be activated through specific needling techniques. Acupuncture treatment protocols use a specific needle input to affect the energy of the entire body. Treatment is often based on the patient’s constitutional tendencies, or biopsychotypes, that influence their life and health. To learn more about your biopsychotype, visit Dr. Joe Helms’ “Learning More About You” questionnaire and bring to your acupuncture appointment. This is an acupuncture method that emphasizes the diagnosis and treatment of a primary constitutional imbalance in the patient based on the the Five Elements as described in ancient acupuncture texts. The treatment places priority on the health of the person’s body, mind and spirit. It strives to identify blocks that may be adversely affecting a person’s body, mind and spirit and stresses preventative treatments. Various acupuncture methods are available for approaching musculoskeletal pain that range from approaches at the surface fascial nodules to deeper muscle spasm myofascial trigger points to spinal nerve segments. A treatment plan will often start with the most superficial level and then increase in depth and intensity as needed. Frequently, a few treatments are given in the first two weeks and then spread out in frequency to bi-weekly for one to two treatments and then every one to three months, or as needed. Percutaneous nerve stimulation involves using sequential or simultaneous electro-acupuncture for treatment of chronic musculoskeletal pain that affects the spinal nerve segments. This method uses unique electro-acupuncture frequencies to provoke the release of neurotransmitters involved in pain modulation (such as, serotonin, norepinephrine, substance P, GABA and dopamine). Acupuncture is a tradition used for health maintenance for 5,000 years in Eastern medicine. More recently, the World Health Organization has identified 41 conditions that lend themselves to acupuncture treatment. 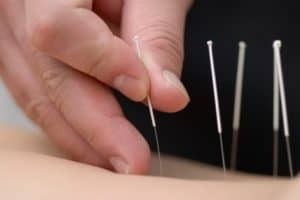 The National Institutes of Health has noted acupuncture’s utility in adult post-operative and chemotherapy-related nausea and vomiting, post-operative dental pain, addiction, stroke rehabilitation, headache, menstrual cramps, tennis elbow, fibromyalgia, myofascial pain, osteoarthritis, low back pain, carpal tunnel syndrome, and asthma. The needles I will be using are approximately the width of a hair. Most people feel a slight sensation when the needle is inserted. However, the degree of sensation is not directly correlated to the effectiveness of treatment. Some patients fall asleep during the needling, and still have very satisfying treatments. All patients note that this discomfort is transient. However, they also note the sensations of “ease”, “heaviness”, “peacefulness,” “calmness”, and “wholeness” remain. The number of needles used varies, and can be as few as 4. Sometimes needles are left in for several minutes, sometimes they are taken out right away. It all depends on the type of treatment, and how your body responds to treatment. © WELL LIFE FAMILY MEDICINE - 2017. All rights reserved.